Lookin' like a stud in this new look! I wore this outfit as a trial for my new knee-high boots. I've never had boots this high and I don't really know how to wear them because of my stubby legs. But for the blog, I gave it a try. Also, I wanted to try looking older since people say I still look like a 16 year old (sometimes they even say I'm 12, damn you height!). 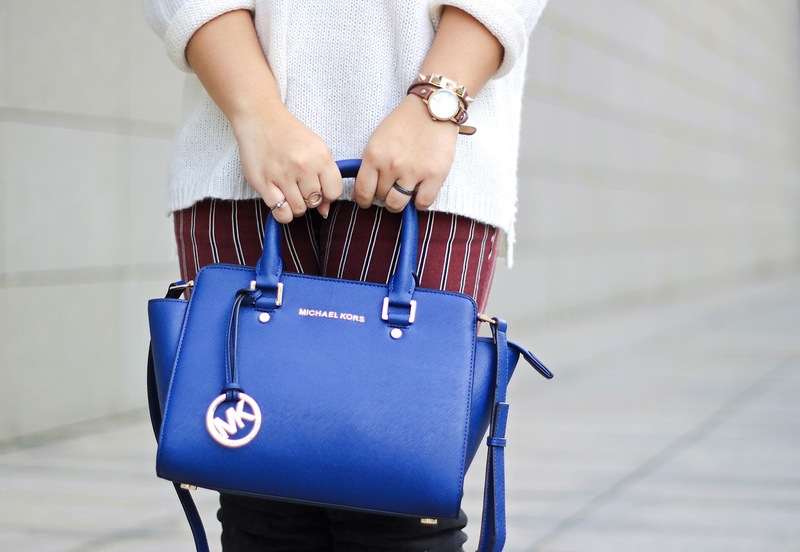 Also I was excited to use my new Michael Kors hand bag because I just got it the day before taking these pictures! I love it! I love the color, the build, everything! 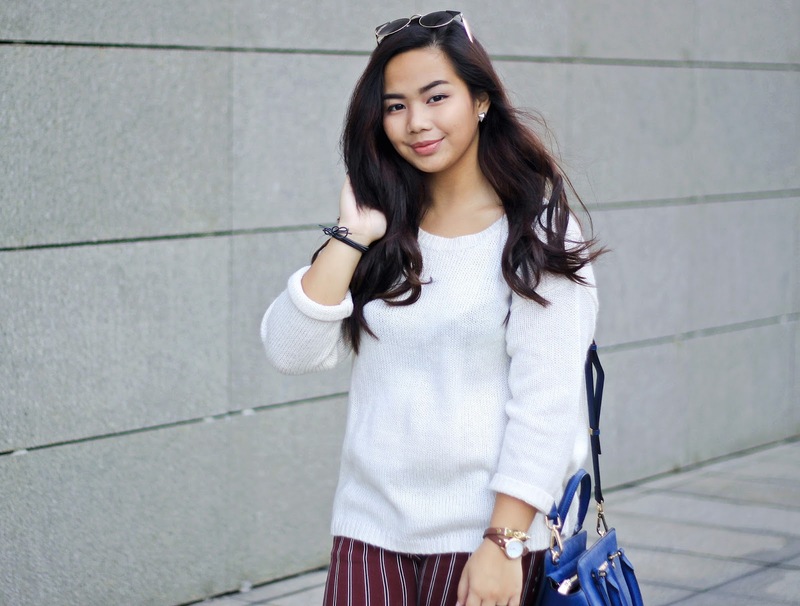 But can you tell that most of the pieces in this look are hand-me-downs? Yep! They certainly are! As you know my eldest sister is a blogger, so her hand-me-downs are less charity and more like free shopping for me and my other sisters. I'm not ashamed of it, I'm rather glad that I can blog some new looks. Reason for the title: Literally a statement piece that spices up the whole outfit...... from the back! Don't get scared buying pieces like these. It's good to have a hint of fun in your outfits! Also, don't be ashamed of hand-me-down clothing, take the risk of rockin' them and making them seem brand new!